My mother is from Costilla County in Southern Colorado, which borders New Mexico. Her family has been there for six generations. My grandfather was a farmer and a rancher. He grew alfalfa, raised pigs, and sheered sheep. He moved to Wyoming, where I learned to fish. 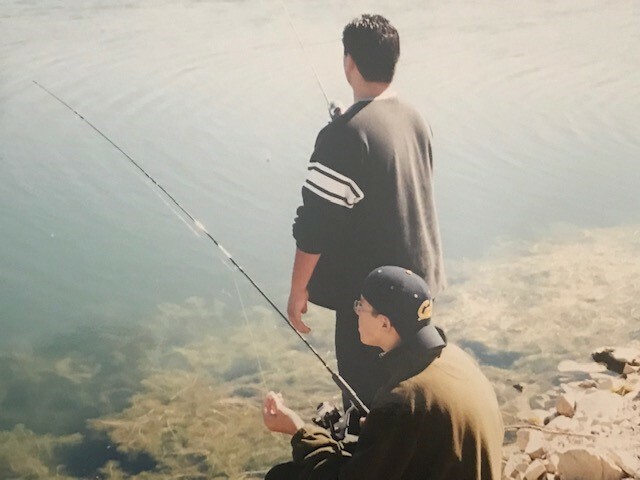 I always went fishing with my grandfather and my uncles, Bernave Arellano and Virgil Lopez, who taught me how to catch trout. Both of my uncles were very respectful of the land and understood that it was important to leave it better than you found it. And this was an understanding that they taught and passed down to me. Utah State Rep. Mark Wheatley’s uncle, Bernave Arellano, who taught him how to hunt and fish. Growing up in Salt Lake City, I always enjoyed the outdoors. The air felt so good to breathe and it seemed like the opportunities were endless. We were rather poor. My mother raised four kids by herself. We didn’t have a car for much of the time. When we got on the train to visit relatives, I always looked out the window at the open range where you could run fast and feel free. Back then, my family hunted deer and elk. It’s important to realize that hunting and fishing are fun, but the best reason is to hunt to put food on the table. This is true for most Latinos. My family made jerky from the meat of the animals they killed. They would smoke the fish that we caught. Today, my relatives living in small towns in the Southwest still hunt for subsistence. A lot of these towns are food deserts and don’t have access to the best grocery stores. But through fishing and hunting you can still feed your family with good nutrition. And that is why it is so important to protect our land and water. There’s a group of families from the Costilla region that share information about genealogy and favorite traditional recipes that our parents and grandparents made. My favorites are green chili recipes and stews made from the meat that is hunted. I also love the secrets about preparing trout. My uncle would have his own spices and chilies which he would use on his trout. He also loved to make jerky. When you share it with family members what they remember most is how tasty it was because they put a lot of love into the preparation of the food. When my two sons were younger, we enjoyed camping, sleeping in tents, and fishing up and down the streams together. Our state is magnificent from the North to the Southeast to the West. I remember taking my sons to southern Utah and they were in awe of the grandeur and beautiful scenery. The color of the dirt is red and the terrain is absolutely stunning, just magnificent, and there’s so much to see. My boys and I have also enjoyed hiking and exploring the outdoors in our state parks. Once you get away you feel like any stress that you’ve had is gone, and when you come back home you start anew. I remember when my uncle showed my oldest son how to fish for the first time. Within a short amount of time he caught the limit. It was a magical day. From that day on he was hooked. My sons both have their own families now. I want to introduce all my grandkids to fishing – they are ages 5, 9, 10, and 15. My favorite places to fish are the Provo River, which is close by; and Strawberry River and Lake. It’s about two and a half hours from Salt Lake. It’s beautiful there and I also have good luck. And we are so lucky to have places like this to go to, and, naturally, we all have a responsibility to protect these special places. Utah State Rep. Wheatley’s grandson, Isaiah (Mark’s son), on his first day of fishing. I am on the Executive Committee of the National Hispanic Caucus of State Legislators and I will be introducing them to HECHO. We discuss a lot of issues related to education and health care and immigration. I have chosen to promote the Land and Water Conservation Fund, protecting our national monuments, and the importance of protecting wildlife. It is important for elected officials to speak up for the conservation of our land and water, and to help ensure that future generations have access to them. Utah State Rep. Wheatley is on the Executive Committee of the National Hispanic Caucus of State Legislators. Utah has received close to 200 million dollars from the Land and Water Conservation Fund (LWCF) over the last 50 years. A lot of people don’t realize it’s not costing the taxpayers anything. And there are so many projects that have occurred as a result of the LWCF. I live in a little city called Murray and we received funding to put in an amphitheater in Murray Park. Here there are plays and concerts, people congregate, and enjoy the outdoors. If the LWCF were not available, we would not be able to utilize many of the city projects that have taken place throughout Utah. We want to make sure that we have that fund on a permanent basis and that the money is used as intended, and not diverted for other things. I’m also very concerned about the threats to Bears Ears National Monument. There’s a lot of important history there, including petroglyphs. A lot of indigenous people were buried there. These lands are sacred and they’re so beautiful. It is important that this land is protected. I don’t want to see corporations come in and drill and frack and mine. We live in a beautiful state and a big part of our economy is tourism. I want to see these protected for future generations. Southern Utah where Utah State Rep. Wheatley and his family hike. I see overpopulation and global warming as the biggest threats right now, especially when it comes to our water. Utah is the second driest state in the nation. We have to make sure that our water resources are protected. People take water for granted. People need to be educated about the over consumption of water. If we don’t have water, we don’t have the wildlife that dwells in the area – we don’t have the native species of fish. If we don’t take care of our rivers and streams and lakes, we will cease to exist. I recently joined the Board of HECHO to not only help get more Latinos involved in the outdoors, but to also have their voices heard on important policy decisions concerning land and water. That was such an important part of my life growing up. 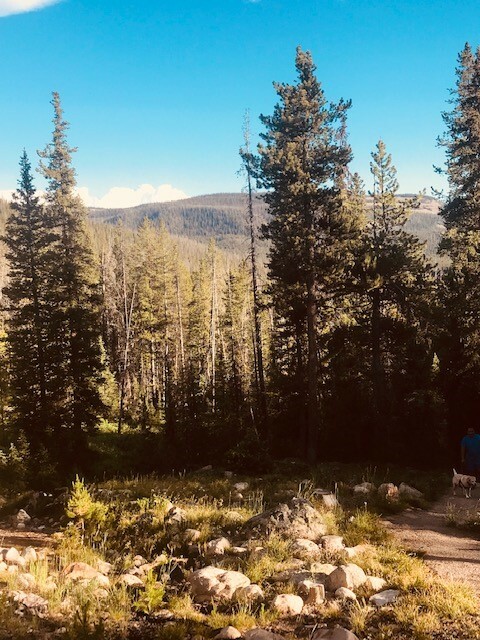 Many Latinos in the urban areas of Utah are very busy working two jobs to support their families, and sometimes they don’t have an opportunity to go out and enjoy the outdoors. Through HECHO, I hope to create additional opportunities for working families in urban Utah to enjoy our land and water and experience all that Utah has to offer. The opportunities I was given to experience the outdoors while growing up— hiking, fishing, and hunting— benefited me not only for access to healthy food and activities, but also for continuing family outdoor traditions that I could pass on to my sons and grandchildren. All families should have the opportunity to pass these traditions on to their kids. That’s extremely critical. It’s also extremely important to expand the work that is being done on a policy level to ensure that places where we hike, fish, and hunt are taken care of for many generations to come. A photo from a favorite place in the uintas, where Rep. Wheatley likes to hike and camp.